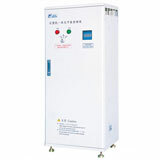 This frequency inverter is develop & manufacturing by AC Drive China which is special magnetic flux vector control frequency inverter (sometimes it know as frequency converter) with a wide range power for selection, from 0.75kW to 500kW, single phase and three phase, with state-of-art technology production lines in our factory. This magnetic flux vector control frequency inverter adopt up-to-date technology in automation control industries, integrated RS485 (Modbus-RTU protocol) for easy real time control, use the 32 bit high speed CPU special for rapid & precision controlling in most applications with ac motors, all of our frequency inverters built-in PID to allow close loop control, while the wobble frequency control function is special in spinning. Paper & printing, Conveyor, Steel, Cement, CNC machine, Fan & pump, Textile printing, Chemical fiber, Sugar, Glass, Metal, Plastic machining, Petrochemical, Packaging. Numerical control machine, short for NC, is the integrated application of electrical, mechanics, hydraulics, micro-electronics, pneumatics and information. In modern production, the manufacturer & supplier general adopt multiple-motor driven mode method, the spindle and various feed systems are driven by separate motors. Due to the wide processing range of the numerical control machines, different tools require different process, cutter and different speed, therefore, the main motion of the NC machine need be able to work with stepless speed adjustment, the spindle speed adjustment system generally adopts an AC (alternating current) speed system. With the development of variable frequency speed adjustment technology, the AC driven spindle of numerical control machine can also satisfy these requirements. The spindle motor drives the spindle to rotate through the belt transmission or through the belt transmission and the reduction gear (to obtain bigger torque) in the spindle box. Thanks to the wide range of speed adjustment of the spindle motor and its ability of stepless speed adjustment, the structure of the spindle box is significantly simplified. Generally, a variable frequency ac motor with a wide range speed adjustment is required, or at least a normal ac motor with a fan to comply with the heat dissipation requirements under low frequency. Output 150% rated torque under low frequency (1~10Hz). Good dynamic response according to load's change, to realize stable spindle speed through the change of the output torque. 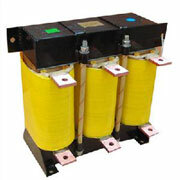 Normally, the acceleration and deceleration time of the NC machine is very short. Frequency inverter ensures the acceleration time and the deceleration time depends on external braking resistor or braking unit. 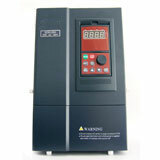 Reliable operation with low failure rate of the frequency inverter. In industrial application of the numerical control machine, not only require strong resisting disturbances capacity for the frequency inverter but also can't disturb the peripheral equipments. Through the operating principle of frequency inverters we know that it contains harmonic component in output, and if it is not appropriately handled during use, it may generate disturbance to other equipment. 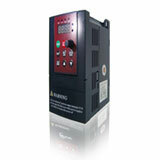 The device that easier to be disturbed in the numerical control machine is the CNC controller. Once the CNC controller is disturbed, the system won't be able to work normally. In particular, the frequency instruction and operation instruction of the variable frequency converter might also be disturbed, and when the disturbance is very serious, it might cause unstable frequency instruction and malfunction of the frequency inverter. The method to solve this problem is to conduct strict EMC testing on the frequency inverter in the factory & manufacturer. P0.01 =2 Terminal AI1 is analog input. Shenyang Machine Tool Plant is the largest manufacturer & supplier of NC machines in China, they integrated our frequency inverters to their CNC machines in a batch quantity for years with a comprehensive testings by its Quality Inspection Department, and have proved frequency inverters can totally satisfy the spindle control requirements of machine tools, in low rotation speed operation and stable output torque, which can satisfy the processing requirements of different parts, and it can totally replace the traditional spindle structure of rolling bearings. In addition, this spindle structure is simpler, more compact and can realize real stepless speed adjustment. The spindle rotation speed is controlled by an external analog signal through the control of the output frequency, and different rotation speeds are required for different processing techniques (such as rough machining, finish machining, etc. ); at this moment, the numerical control system can output different analog signals to the frequency inverter to realize different rotation speeds, meantime, the start/stop signal is also controlled by the numerical control system to increase the automation degree and the service life of tools. At present, a large amount of our frequency inverters have been used in Shenyang Machine Tool Plant, the user feedback is great, and the failure rate is almost zero. The successful of this vector control frequency inverter (also known as ac drive) in the spindle of numerical control machines, has improved the situation of high dependence on import from Europe & America to China, and makes the cost significantly decrease for customers. 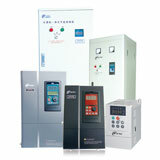 the vector control frequency inverter has been rapidly promoted and applied in numerical control machines due to the unique performance and cost competitiveness.